Both a newly developed drug called apalutamide and an already approved drug called enzalutamide (Xtandi) kept prostate cancer from spreading for two years in men whose disease had not yet traveled to other parts of their bodies. Men newly diagnosed with prostate cancer that hasn't spread are first treated with androgen-deprivation therapy -- a medication that robs the tumor of the testosterone that helps fuel its growth, said Dr. Matthew Smith, lead researcher of the apalutamide trial. He is director of the genitourinary malignancies program at Massachusetts General Hospital, in Boston. "It always works, and it almost always stops working," Smith said. "And when it stops working, that's what we call castration-resistant prostate cancer." Until now, there have been no approved treatments for prostate cancer at that stage, Smith said. The men are put under observation until their cancer migrates, at which point treatment resumes. 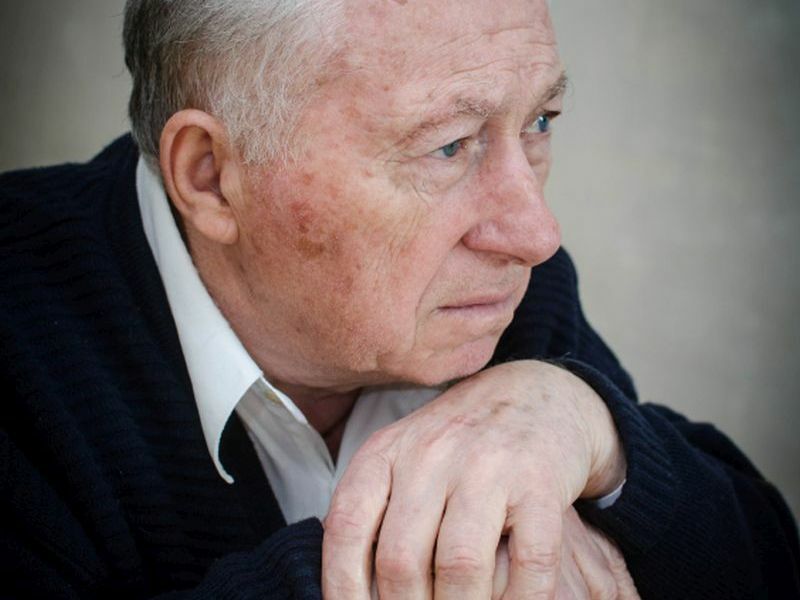 Tens of thousands of men in the United States are estimated to be in this situation and they have a very poor prognosis, particularly if their levels of prostate-specific antigen (PSA) are rapidly rising, Smith said. PSA is a protein produced by the prostate; a sudden elevation of PSA levels has been linked to increased prostate cancer risk. "There's an unmet need there," Smith said. "Their expected survival is similar to that of men with newly diagnosed prostate cancer that has already spread to bone." Both apalutamide and enzalutamide battle prostate cancer by binding to the androgen receptor on tumor cells, blocking its activation by testosterone and other male hormones, explained Dr. Oliver Sartor, medical director of the Tulane Cancer Center in New Orleans. He co-wrote a commentary accompanying the apalutamide trial. "Both the drugs are incredibly similar to one another," Sartor said. "If you look at the chemical structure, they're extremely close to one another. Mechanistically, they operate the same way." Two separate clinical trials were launched to see if either oral drug would help men with castration-resistant prostate cancer. Both drugs were tested against a placebo. Apalutamide extended progression-free survival by about two years over placebo, researchers found; 40.5 months versus 16.2 months. Men taking apalutamide had a 72 percent lower risk of invasive cancer or death, based on results from more than 1,200 patients at 322 sites in 26 countries. Enzalutamide also showed promise. The drug extended progression-free survival by nearly two years over placebo -- 39.6 months versus 17.7 months -- and decreased risk of cancer migration by 71 percent, according to results from more than 1,400 patients. Results from both trials were to be presented Thursday at the American Society of Clinical Oncology's Genitourinary Cancers Symposium in San Francisco, and the apalutamide study was also published simultaneously in the New England Journal of Medicine. "It was a very big effect," Smith said, adding that apalutamide's manufacturer, Johnson & Johnson, has applied to the U.S. Food and Drug Administration for its approval based on these findings. Smith said he expects that apalutamide will become the standard of care for men with this form of prostate cancer, but other experts think enzalutamide could steal the new drug's thunder. Dr. Alexander Kutikov, chief of urologic oncology with Fox Chase Cancer Center in Philadelphia, noted that the enzalutamide trial demonstrated similar results, and that drug is already in use as a prostate cancer therapy. "Unlike apalutamide, the anti-androgen enzalutamide is a firmly established agent in the metastatic prostate cancer space, and is very familiar to clinicians caring for patients with advanced prostate cancer," Kutikov said. "I suspect barriers to its use, at least initially, will be much lower than to that of apalutamide." Sartor agreed. "I think it will become a standard of care. I hesitate to think it will be the standard of care," he said. Sartor noted that both drugs come with significant side effects -- most commonly rash and increased risk of fracture -- and men not suffering any symptoms might not want to take the risk of drug-related adverse events. For example, rash occurred in almost 24 percent of men taking apalutamide versus 5.5 percent in the placebo group. And fractures occurred in close to 12 percent on apalutamide versus 6.5 percent in the placebo group. However, in both trials only about 10 percent of men taking the cancer drug dropped out due to side effects, compared with 7 percent and 8 percent of the placebo groups. Further, neither trial was designed to test whether these men gained any overall survival benefit by having their prostate cancer treated before it spread to other parts of their bodies, Sartor said. "Which drug is best and how does it compare to the current standard of care, that's still a little bit more of an open question," Sartor said. "I think these trials absolutely are providing new data, but I'm not personally convinced that someone with non-metastatic disease ought to be receiving these drugs." The trials were paid for by pharmaceutical companies Johnson & Johnson and Pfizer.